A visit to Bratislava never disappoints, especially when cold winds blow and the promise of a peaceful layer of snow is great. Plunging temperatures, earlier sunsets, cold winds, children being extra well behaved, all signs that, the year is drawing to a close. The good news is that with it, comes the excitement of the holiday season. Probably no other time of year sparkles with traditions and good cheer like the Christmas season. 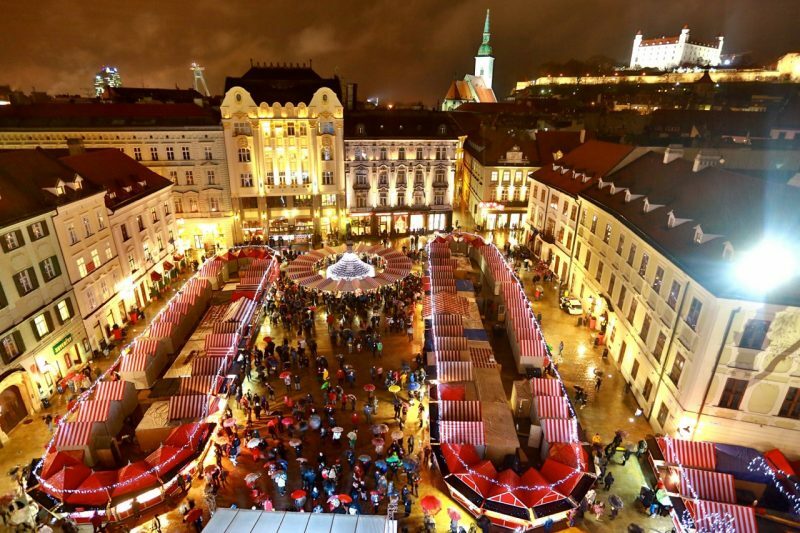 Still, as the days shorten, the traditional Christmas stalls make their presence known in all of Bratislava’s central squares, continuing a tradition that stretches back to the middle ages. Some would say the Bratislava Christmas markets are cosier and less overtly commercial than those, say in central Vienna. Visitors to Slovakia’s capital city will find local residents as well as tourists enjoying a glass of mulled wine and a bite of something sweet as they gear up for the holidays. In fact it has become a custom for Bratislava’s bevy of office workers to grab lunch at the Christmas market stalls; visitors can mingle with residents while sampling the many local specialities to warm empty stomachs in the crispy air of early winter. The most common things to eat are lokše, typical potato pancakes prepared in different salty and sweet varieties, cigánska pečienka, a hamburger-like fried pork steak served in a folded bread pocket – with lots of mustard and onion if you like – a sausage, or a simple šmalec, a wedge of bread with pork fat and onion. As for drinks, you can go for the good old mulled wine, but once in Slovakia, you should not miss your chance to taste the local drinks that perhaps warm you up much faster than just wine, and that cannot be found anywhere else in the world. One of such drinks is ‘hriato’, a peculiar fruit-brandy-based cocktail made with bacon or pork fat and honey. If that sounds too exotic for your stomach, try out the local versions of grog, a hot drink based on rum and spices, or punch, with fruits. And the pickings for the avid shopper seeking gifts as well as decorations are pretty good. A stroll around the markets will reveal a variety of handmade items, some reflecting traditional crafts and others showing an unusual artistic flair. Traditional Christmas decorations like porcelain, ceramics, woodcarvings, or delicate crochet angels are widely available. In the afternoon, stages, located throughout the markets, feature traditional and modern musical programmes. An open-air ice-skating rink, usually located on Hviezdoslavovo square, has contributed to the Christmas atmosphere for several years now, successfully luring both visitors and locals to winter-time Bratislava centre. Visitors can rent skates at the rink, and bring back their childhood memories while skating around the rink. The rink is open throughout the winter, depending on the weather. If the temperature goes well below zero for longer periods of time, skating is also possible on some of Bratislava’s natural lakes. But the holiday season is about more than skating and shopping, eating and drinking. For those who seek the spiritual preparation for Christmas, Advent concerts take place around central Bratislava, primarily in the local churches. Area choirs and musical groups often prepare special programmes for the season. There is no place better to focus on the celebration of the birth of Christ, than Bratislava, a city where local churches are full at every Sunday service throughout the year. Visitors should contact the city tourist information bureau to find out about the concert programmes. 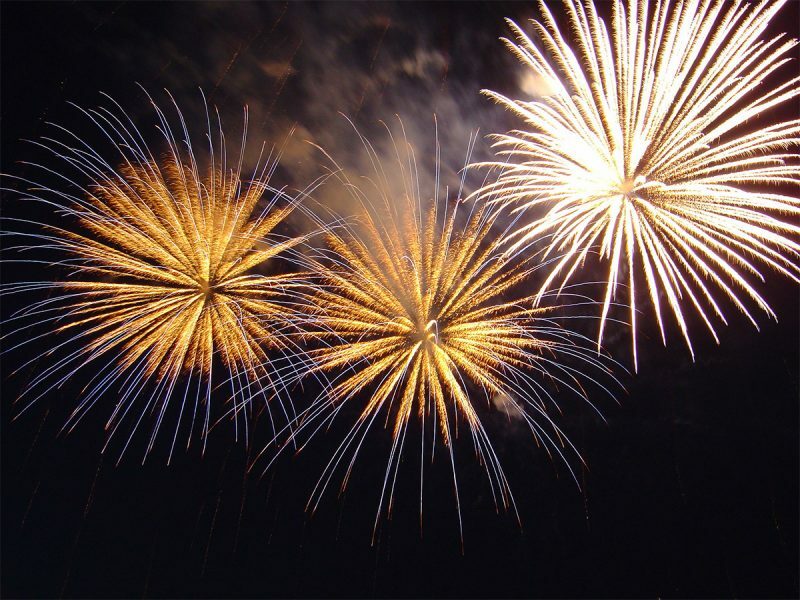 A series of New Years Eve events close the official holiday season in Bratislava. On the last night of the year, the city turns into one big party. The focus of public events is in the Old Town where several performance and meeting venues may be found. The celebration begins around noon as visitors and residents alike take to the streets. Afternoon events generally targeted to families with children featuring folk dancers, singing, and musical performances many in traditional costumes. By evening as the children tire, the adults take to the streets and boogie to the local bands and DJs. Revelling continues well past midnight ushering in the New Year. New Year’s Eve in Bratislava draws not only partygoers. A New Year’s Eve day 10-K Run across Bratislava’s several bridges welcomes sports enthusiasts. Both well-trained and wanna-be runners join those on roller blades and fast walkers, as they make their way along the Danube bank and across Bratislava’s bridges. The run completed, the athletes can join the other celebrants and welcome in the New Year. After the New Year, the carnival period starts. In Slovakia, it is known as fašiangy. Traditionally, this is the time of having fun before Lent starts and even nowadays, it is the period during which a lot of big dance parties and balls are organised. Fašiangy for Slovaks means having fun, drinking alcohol perhaps more than normally, and eating some unhealthy delicacies which even those diet-conscious do not refuse this time of the year. The last three days of the carnival time are the peak of the period. 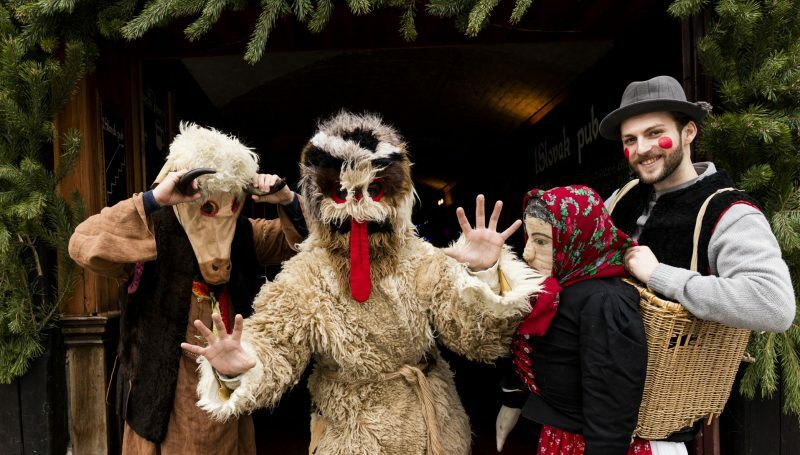 Various parties and gatherings are organised in the city especially for children where people come dressed in masks, not unlike in other European cities. January and February undoubtedly get pretty cold in this part of Europe. Temperatures regularly dropping below zero offer visitors a great excuse to explore Bratislava’s indoor attractions. 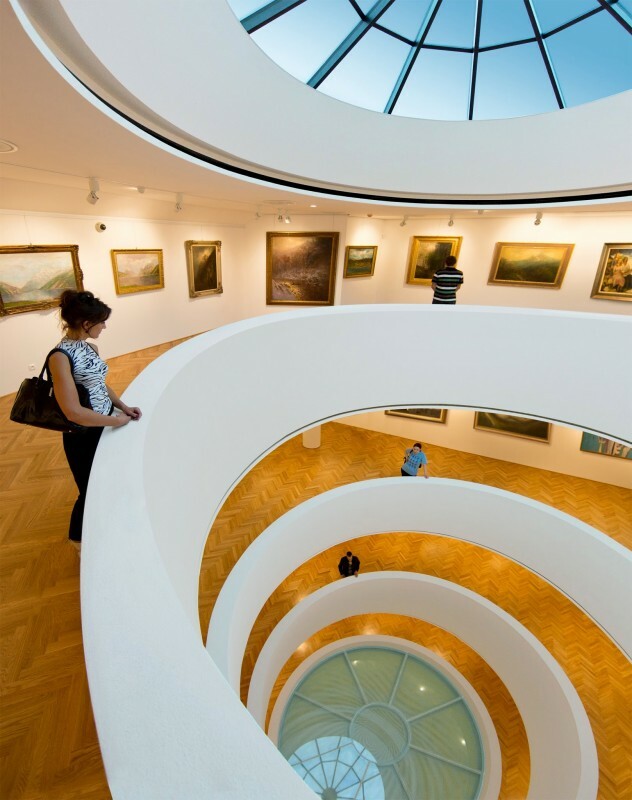 Daytime is perfect for experiencing the city’s centrally located art galleries: the Gallery of the City of Bratislava (GMB) and the Slovak National Gallery (SNG) are easily accessible in the Old Town section. For those whose tastes run to modern art the privately run Nedbalka Gallery, whose architecture is often compared to the Guggenheim, is well worth a visit. And don’t miss the Bratislava City Gallery’s Pálffy Palace located in a beautifully reconstructed 14th-century gothic palace holding a rich variety of art collections. Between gallery hopping, enjoy the unique central European coffee culture. Cafes reminiscent of old time Bratislava–when Slovak, Hungarian, and German were casually spoken by locals and the city had not been marked by two world wars and the communist time–abound. For those with a taste for the contemporary, hip coffee shops have mushroomed around the city in recent years. The cafes offer a variety of cakes and cookies to go with that coffee; to get a taste of the region, have a couple of bratislavské rožky. This fine, crescent-shaped pastry with a poppyseed or walnut filling and a glossy surface may shortly receive recognition under the EU’s protected geographical status scheme. Or go for the good old strudel, or štrúdľa in Slovak, the emblematic taste of Central Europe. The typical dessert in the Habsburg monarchy, the Apfelstrudel, is one way to define the borders of region: Central Europe ends where there is no Apfelstrudel available. Evenings are for the theatre. Fans of classical music and dance may book a ticket for an opera or ballet in the Slovak National Theatre. These timeless arts transcend language barriers and visitors will find themselves surrounded not only by locals, but also by regular visitors from neighbouring Austria. Many Austrians have become accustomed to enjoying the abundance of high-quality performances in Bratislava, where ticket prices are significantly lower and the availability of tickets, even at the last minute, much greater than in neighbouring Vienna.